When you think about the signs of aging, more than likely, facial wrinkles and fine lines come to mind. 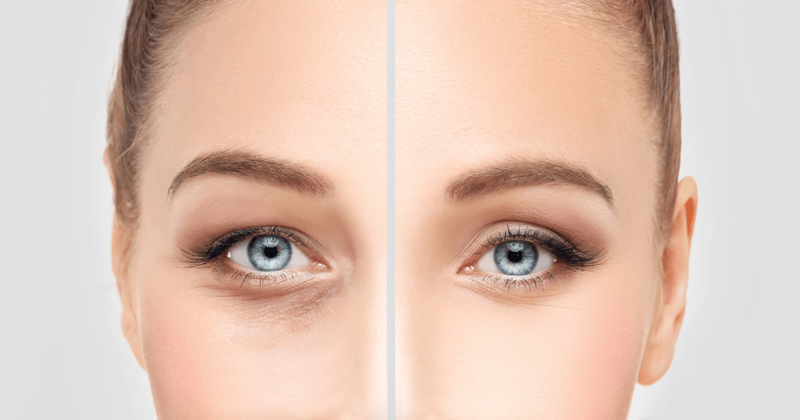 But there’s another perhaps more prominent sign of aging on the face – drooping eyelids, which can make you look tired or fatigued, and of course, older. Not surprisingly, eyelid surgery is popular. 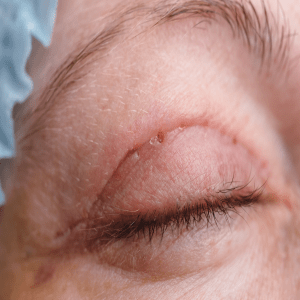 In a 2017 report from the American Society of Plastic Surgeons (ASPS), eyelid surgery is listed among the top five cosmetic surgical procedures. As a board-certified plastic surgeon, it’s one of the many services offered here at my office. But what does eyelid surgery entail and address? The technical term for cosmetic eyelid surgery is blepharoplasty. It’s also referred to as an eye lift. There are two types of blepharoplasty. Upper eyelid surgery is done under local or light general anesthesia. It removes excess skin – the culprit of saggy, droopy eyes and muscle from the upper eyelid. Lower eyelid surgery, which targets undereye bags, is usually done while you’re asleep. Each one takes about 45 minutes. 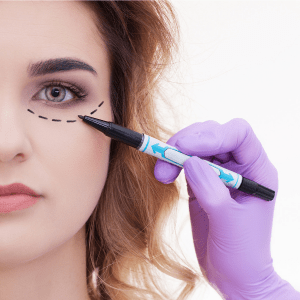 It seems there’s some misinformation – or myths circulating about eyelid surgery, so I want to set the record straight, and separate fact from fiction. The truth is – eyelid surgery is not designed for that. Options that target wrinkles include chemical peels or laser resurfacing (finer lines), and Botox (Crow’s feet). I can discuss those options with you. The truth is – the scarring from eyelid surgery is typically very minimal. In upper eyelid surgery, the incision is “hidden,” and falls right in the natural fold or crease of the eyelid. The incision for the lower eyelid is also hidden. In some cases, this surgery is done from inside the eyelid, leaving no external scar. The truth is- they are two different surgeries. The brow lift elevates the eyebrows, while the eyelift addresses baggy eyelids. Many patients do one or the other, and both will give you a refreshed, more youthful look. Who is A Good Eyelid Surgical Candidate? I tell my patients that for this procedure and any other surgical procedure, it helps to be in healthy condition. It also helps if you’re a non-smoker. When you come in for a consultation, we’ll further discuss this and go over your medical history, to make a determination on whether you would make a good candidate. Hopefully, I’ve answered most of your questions about eyelid surgery or blepharoplasty. If you have more questions, I would be more than happy to sit down with you and discuss your options. We perform a number of treatments and procedures – both surgical and non-surgical, here at my practice. Call us at 301-656-6398 to schedule a consultation to discuss them. We have three locations conveniently located near you: Rockville, MD – Annapolis, MD – and McLean, VA. We look forward to helping you reach your cosmetic goals.